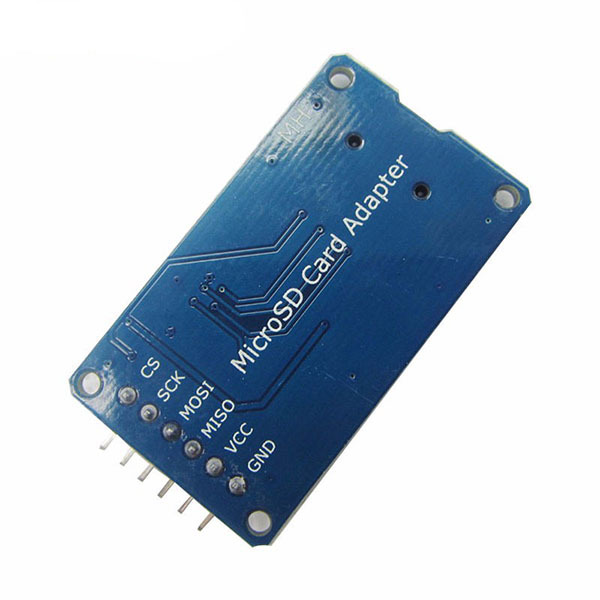 The Arduino MicroSD Card Module is a simple solution for storing and transferring data to and from a standard MicroSD card. The Arduino MicroSD Card Module is a simple solution for storing and transferring data to and from a standard MicroSD card. The pinout is directly compatible with Arduino, but can also be used with other microcontrollers. It uses the SPI protocol for communication. 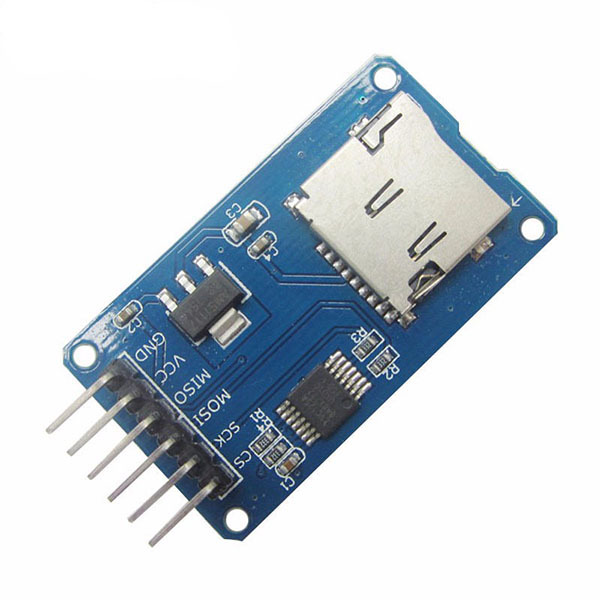 The MicroSD Card Module has an onboard voltage regulator and logic level converter so you can directly connect it to your Arduino without the need for an external logic level converter. Applications include mass data storage and data logging.